Location becomes a major factor if we are concerning about the key factors of our dream home. By the way, living in metro cities like Kolkata itself your status, even if the location of your home is located in a special place, then the importance of it increases even more. The city is famous for its unique lifestyle and culture. But now it’s gaining fame for the amazing growth particularly in the field of the commercial and economic sector. 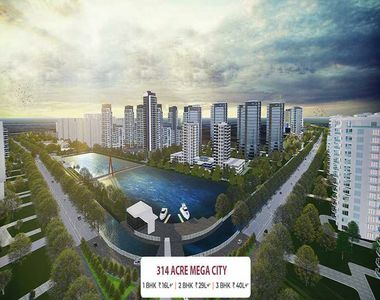 With a number of IT parks in the city, the real estate sector of Kolkata is also growing with increasing demand for residential properties in the city. From affordable homes to luxury penthouses, there is everything available in Kolkata which fits in your budget. The state government is also taking this growth seriously and try to improve the connectivity with the development of many 4 to 6 lane roads, flyovers and expressways everywhere in the city. For the home seekers who are looking for an investment in luxury apartments in Kolkata, Uttarpara is one of the most favorite hot-spots which offers great connectivity to its residents. Out of many advantages, this locality has for a comfortable living, we are going to discuss few of them below. The locality is well-connected with many major roads and flyovers and also the State Highway 6 passes through Uttarpara. Uttarpara is also a railway station of Kolkata Railway system. 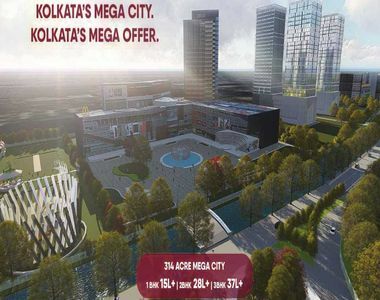 Major areas nearby Uttarpara have properties with sky-touching prices. But as this area is not yet fully developed now, you can easily found a residential apartment here at affordable prices. A luxurious and innovative residential venture at Uttarpara, Shriram Grand City offers 1, 2 and 3 BHK segments of spacious apartments. The new level of style, luxury and comfort can be enjoyed inside these apartments with the most affordable prices which range between Rs. 15 lakhs – Rs. 37 lakhs. The meticulously designed apartments at Shriram Grand City Kolkata shows an example of deceptive art and innovation. Every required element essential for a modern living is available inside these luxury homes. Made with flaunting world-class technology and architecture, these contemporary residential units vary in size from 469 sq. ft up to 1119 sq. ft. The ultimate location of Uttarpara makes this complex well-connected to nearby schools, hospitals, shopping malls, restaurants, multiplexes etc. Property seekers will find every modern amenity and utility in the township at Shriram Grand City Uttarpara. These include a wide swimming pool, large kids’ playground, separate courts for multiple games, indoor games facility, hi-tech security with CCTV surveillance, open and covered car parking etc. So, don’t miss the opportunity to join the most pleasant neighborhood and extravagant luxuries in Uttarpara and book your own residential space for this marvelous project.